There’s a reason why some of the wealthiest individuals on the planet have their hands on lots of property. It’s not uncommon for investors to turn a small pot of money into a thriving real estate business. The best thing about the property market is that it follows an upward curve. Make sensible decisions, and you’ll ride that wave upwards along with the house prices. However, as with any investment, nothing is guaranteed. It takes some skilled and sound decision-making to make money from property. But, don’t worry, we’re here to show you the golden rules to live by. Let’s take a look, shall we? In real estate, we live by one simple formula, “Location, location, location”. When it comes to property value and rental prices, location is the single biggest factor. It’s why a one bedroom apartment in London costs £1 million, while that same figure will buy a castle in Scotland. If you’re looking to make a fortune from property, you’ve got to invest in an up-and-coming area. And that takes skill to predict. Pro tip: look for proposed transport links, and infrastructure planning permission applications. If you’re looking to get rich quick, the real estate market isn’t for you. In fact, investing probably isn’t for you. You’d have just as much luck at the roulette wheel if you’re looking for short-term windfalls. Investing is a long-term game. You ride the wave to the top over time. You pick your location and property carefully, and you cash in years later when the property value increases. The property wave will almost always make you money over the period of a decade. However, there are ways to actively increase the value along the way. By upgrading the spec of the property, you can add thousands to the price tag. For example, a new loft-conversion or extension could add up to 10%. A new kitchen or bathroom might add 5%. By actively upgrading the property, you can cash in on your investment earlier. If you’re looking to actively make money from property, you must look at it like you would stocks and shares. Look at property as a portfolio of investments, and seek the highest yields. 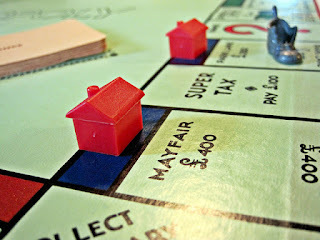 Ideally, you should diversify, and put your money in various different property types. If you’re looking for more information about actively creating a property portfolio, take a look at Redbrick Wealth. The experts are better placed to help you make these decisions. Renting is a fantastic way to generate passive income from your property investments. However, you must take your position as landlord incredibly serious. The smartest landlords keep 50% of all income aside for emergencies and upgrades. Try to keep budgeting fun, but strict! They also treat their tenants with respect, and keep the property in perfect condition. It’s a tough job, and not one to take lightly. Property is lucrative; there’s no doubt about it. However, treat it like a business, make sensible decisions, and spread your portfolio. Best of luck out there!